Sugar ann is up, she is a pea, the seed was sown on the 14th March and she is now up, I am very pleased to see her, there is nothing quite like eating peas from the plant in the summer, it is also a vegetable that does freeze so well, not sure that there is a seed that does as well and taste as good after time frozen. I hope that the wind is going to start to die down so that I can get the supports up. The spring fair went very well, we had some 200 more people than last year and the weather was bad on Sunday, we had true plant people here on Sunday, to walk around in such weather they must had been. 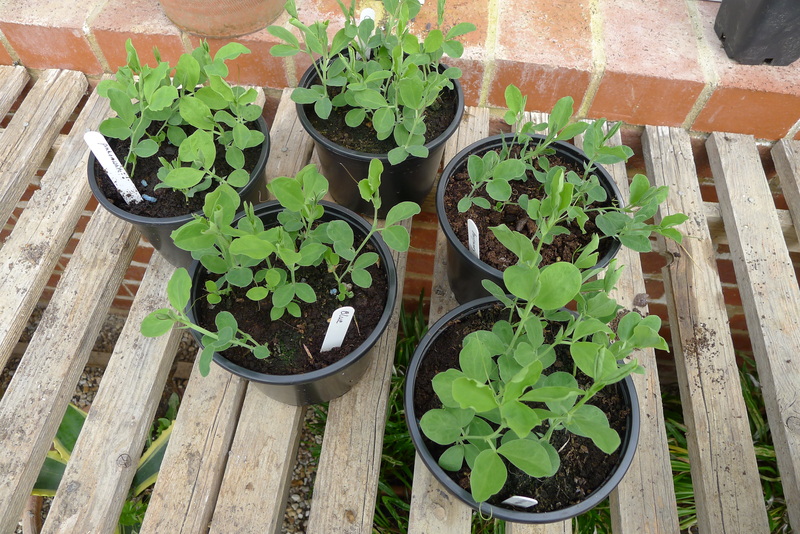 I was very pleased to see a local nursery was selling sweet peas, since I have not planted any it was great to get them already up, and I did not have to pay, perfect. I got two colours, orange and burgundy. 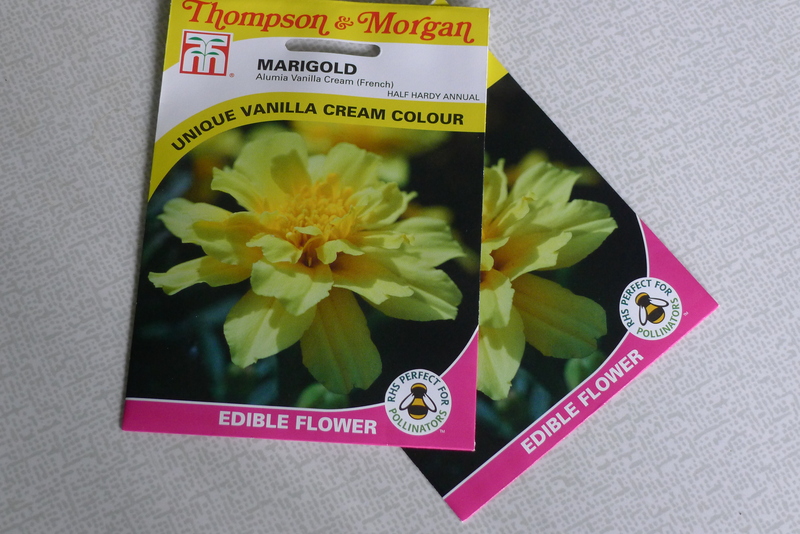 I did have to telephone Mrs Next-door and let her know so she could also get some, our usual source has let us down. I pricked mine out today into single pots with our own soil. 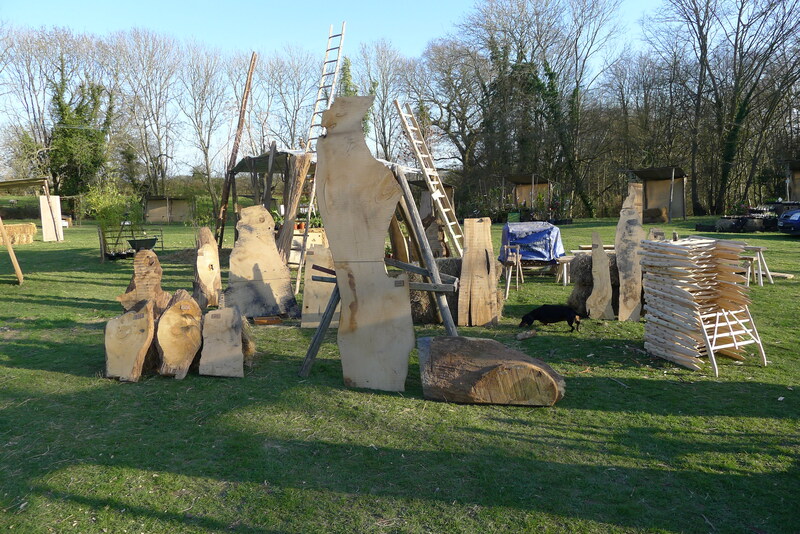 Not only do we open for the season tomorrow but it is also our spring fair, the lower field is looking great but maybe the star of the show is our stall, Fergus has had a fun day getting our stall ready and it does look great, he really loves this kind of thing. I just hope we have a lot of people to see it, I will be in my usual place, helping in the car park. 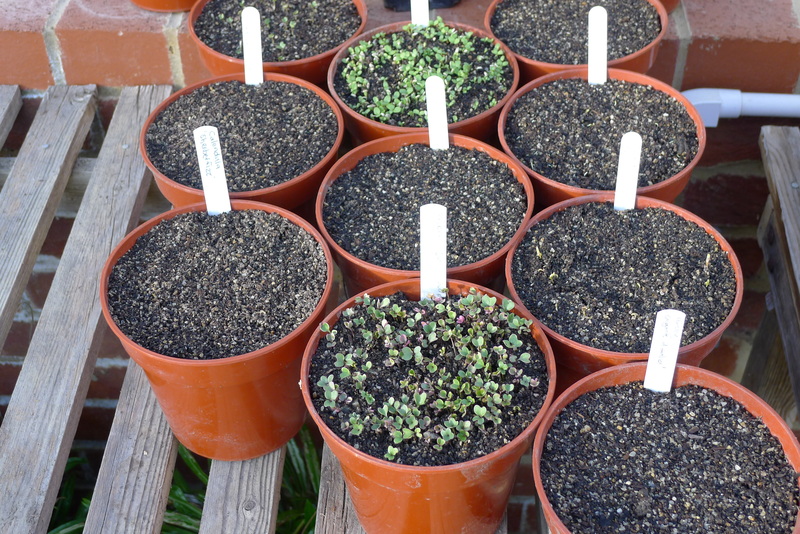 We have seedlings coming through in Mrs Nextdoor’s glasshouse I am very happy to see, it all happens very quickly when it starts. It is fun to go in the morning and see what has happened as with the end of the day. 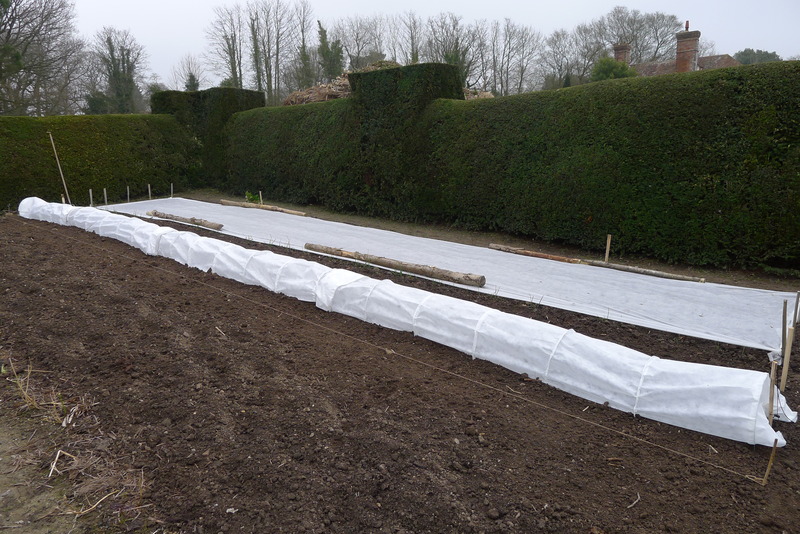 The only seeds that have not shown any life are the peas and beans, I think they maybe finding it all a little cold so I have covered them in fleece as with the seeds out in the garden, they to have not started to move yet but they will always be a little slower. 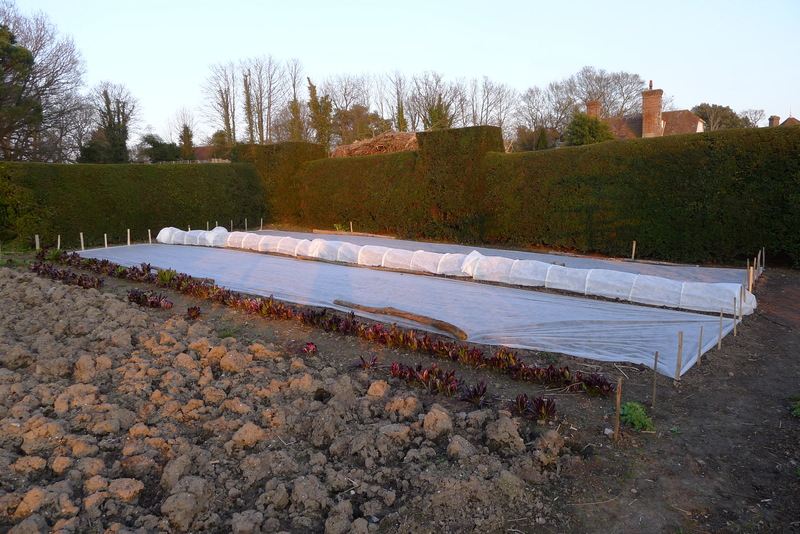 At this time of the year it is very hard not to full the garden with lots of rows of seed, we still do not know what the weather is going to do, I have put another four rows of seed in, one third of the high garden is now under fleece and last night we where reminded that frost is still around, we had a light frost which had gone by 9am but we still had one. I now need to weed through the high garden and then move onto the other side of the hedge. I love the F T Weekend newspaper and the section that I really enjoy other than “How to spend it’ is the ‘House and Home’ section and that is because of Robin Lane Fox, he does get around and sees some great plants and then writes about them, on the weekend of the 24th and 25th January he looked at some interesting seeds for the summer ahead, one he wrote about that I loved the look of was Marigold Alumia Vanilla Cream from Thompson and Morgan so I ordered two packs and then this past weekend sowed one pack, I want to be able to eat the flowers in salad this summer. It looks like it is going to be a perfect butter yellow which will lift the green of lettuce. I am very happy with Perry, he spent the time with me on the internet to get a good cover to grow carrots under. Carrot fly is such a problem and in a way the best thing to do is to keep them covered through their lives, you need a fine mesh that still lets light and water through. The covers that we got are a little too white but are very tidy. To help keep carrot fly away people will cover them and also grow onions on either side, I have spring onions growing on one side. 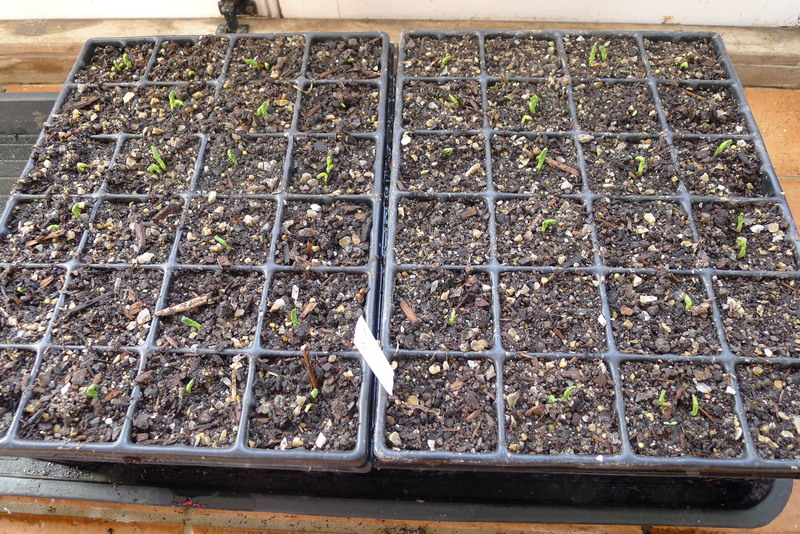 The variety that I planted is C. ‘Early Nantes 2’, hope they are going to grow well.